Weather in Morocco in january 2020 - Climate, Temperature, Where to go? Morocco in january: average Weather, Temperature and Climate, Where to go? How are weather conditions in Morocco in january? Is it the perfect time to go to Chefchaouen and Saidia? Check this with weather datas and our opinion below. In this section, you have access to the weather forecast for january for most popular cities in Morocco. These predictions are probabilities for january from weather reports for many years. The percentage indicates the probability of having the weather mentioned. The climate throughout January in Morocco is magnificent for most of the coastal cities located in front of the Atlantic. The sun is on the program and the heat is pleasant as of daybreak. If one crosses the country from north to south, they will notice the contrast between the wetter north and the drier south. The towns around the Straits of Gibraltar are cold and damp. Located in the extreme north of the country, the city of Tangier is disadvantaged by a humid and cold climate. The mornings are indeed very cool and the rains often occur at the beginning of the day and in the evenings, especially towards the end of the month. Chefchaouen has the same climatic conditions as Tangier while in Fez, the mornings are very rough due to the cold. Whatever the case, midday allows to feel a certain ease, provided one wears comfortable clothes. From Rabat to Agadir, via Casablanca and Essaouira, the climatic conditions are more favorable. The temperatures are higher, which promotes a feeling of comfort during the day. In addition, precipitation is low. The weather in Morocco throughout January allows one to enjoy beautiful sunny days with a limpid sky, from dawn to dusk. This time is splendid for sunbathing. The mornings in the hinterland are cool, like in Marrakech whose morning temperatures are around 8° C. Fortunately thanks to the rarity of the rain, the sun shines from morning to night and provides the opportunity to enjoy the comfortable warmth and a beautiful weather throughout January in Morocco. However, it is better to protect with hot clothing if planning a visit to the hinterland. Where to go in Morocco in january? Where should you go in Morocco in january when it comes to the weather? The climate in Morocco in january ranges from perfect to very bad depending on the region and city. warning in january the weather varied depending on the city and regions of the country. In january the weather in Morocco is just perfect, but in Dakhla only. Thus, in Dakhla the conditions are met so that you can live fully your holidays: the sun is here, it rains very little and the humidity is not too high. It is therefore the ideal month to go to this city! 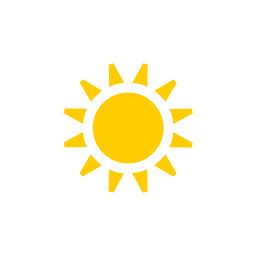 Please note that the weather is good in Zagora, Taroudant, Settat, Nador, Marrakesh, Saidia, Rabat, Beni Mellal, El Jadida, Essaouira, Safi, Agadir, Oualidia and Casablanca. Around here, temperatures are attractive and allow you to visit and enjoy the sun. If you do not go to spend your time in a lounger by the pool, but, for example to go sightseeing, the cities of Ouarzazate, Tangier, Oujda, Tetouan, Fez, Chefchaouen and Meknes have a ok but correct weather for that in january. In the month of january, maximum temperature is 20°C and minimum temperature is 12°C (for an average temperature of 16°C). The climate is fairly fresh in that locality in the month of january, but it is liveable when dressing hot. With barely 40mm over 5 days, rainfall is infrequent during your trip. With a good weather, january is a good time to go in this locality in Morocco. In january, maximum temperature is 23°C and minimum temperature is 16°C (for an average temperature of 19°C). The climate comfortable in that locality in this month. With 25mm over 3 days, rain may be scarce for your trip. With good weather conditions, the month of january is a good month to go in Agadir in Morocco. In january, the mean temperature in Casablanca is 17°C (maximum temperature is 19°C and minimum temperature is 15°C). The climate is relatively cool there in the month of january, but it is bearable by dressing warm. With 73mm over 9 days, rainfall can happen throughout your vacations. But this is rather moderate and you will not be too bothered by it. With a good climate, the month of january is a good month to go there. In january, maximum temperature is 17°C and minimum temperature is 12°C (for an average temperature of 15°C). The climate is rather cool in that area in january, but it is bearable when dressing cosy. With 105mm over 11 days, rainfall can happen during your stay. But this is moderate and it is only of temporary showers. With a correct climate, the month of january is okay (but not the best time) for traveling there. In the month of january, maximum temperature is 21°C and minimum temperature is 16°C (for an average temperature of 18°C). The climate good in that area in this month. With 31mm over 5 days, rain may be scarce during your holidays. With a good climate, the month of january is a good time to go in that area in Morocco. Weather data for Morocco in january is derived from an average of the weather forecast since 2009 in Morocco. There is a margin of error and these forecasts are to be considered as general information only. The weather in Morocco can vary slightly from year to year, but these predictions should limit surprises. So you can pack your bags and check when is the best time of year to visit Morocco.